Clearwater freshwater rods are perfect for anglers who primarily fish in freshwater. The Clearwater rods come in multiple line weights that will cover any freshwater fishing scenarios. Available in a variety of lengths, our line of Clearwater rods have you covered whether you are fishing small freshwater creeks or wide western trout rivers. The Clearwater fly rods are designed with a perfect balance of strength and precision, allowing anglers to cast heavy streamer or tiny dry flies. The value and versatility of our Clearwater rods make it a favorite among freshwater anglers everywhere. Offered at a great price and backed by a 25-year guarantee, Clearwater rods cannot be beaten. Save money with Clearwater outfits. All Clearwater outfits come with Clearwater rod, Clearwater reel, Clearwater weight-forward fly line, backing, and cordura tube. 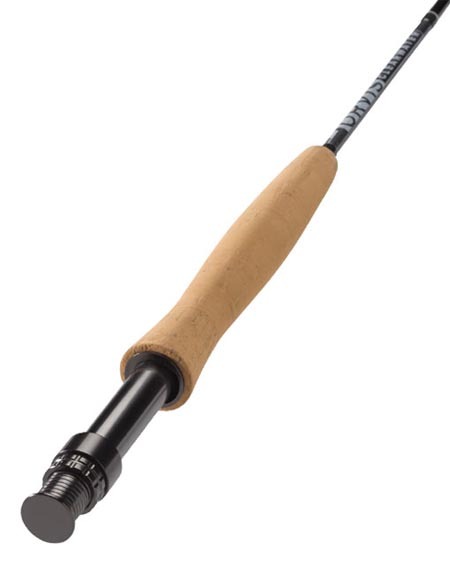 Orvis Clearwater 763-4 Rod ! The Clearwater 4-Weight 8'6" Fly Rod is a versatile trout rod in the “sweet spot” of length and line weight. It has the ability to place a dry fly deftly on the surface, fire a small streamer at a cut bank, or even handle a light nymph rig close in. If trout or even light bass and panfish are the target, the Clearwater 864-4 is a clear choice for versatility and value. The Clearwater 4-Weight 9' Fly Rod is the perfect light-line rod for bigger water with the reach and power for longer casts, more line control in mending and nymphing, but still with the touch and light feel to present dry flies to a rising fish at distance and control the line for longer drifts. Excellent reach and line control for fishing smaller streamers across and down larger streams and rivers. Long and powerful, yet light and responsive, the Clearwater 904-4 is a rod that will provide you with a remarkable fly rod return on investment. The Clearwater 6-Weight 9' Fly Rod is a stout trout and light bass fly rod that can handle big, heavy streamers, big hair poppers, dropper setups, and nymph rigs with ease. This is a great rod for pounding the banks from a drift boat or dropping poppers on the edge of lily pads. This is a must-have rod in Alaska for throwing mouse patterns and drifting egg patterns and flesh flies to big rainbows. The Clearwater 906-4 has the backbone to do the job and then some. There are times when conditions call for big flies to catch big fish and this rod is designed for just that.